1. What is the best book you've ever read? Sometimes a Great Notion, by Ken Kesey who wrote One Flew Over the Cuckoo’s Nest. It’s beautifully written. 7. It's been said that all great people can have their lives summed up in one sentence. How do you want yours to read? He died as he lived, with humor. If you enjoyed today's episode: Subscribe, rate & review wherever you get your podcasts. See you here next Thursday! The post Live Inspired Podcast: Ep. 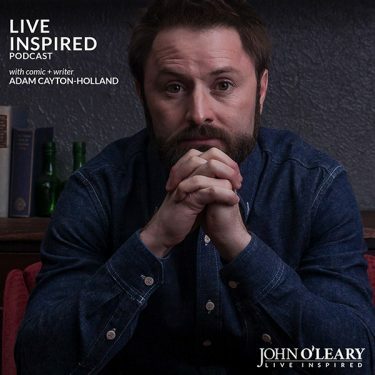 99 Comic Adam Cayton-Holland on His Sister’s Suicide appeared first on John O'Leary.